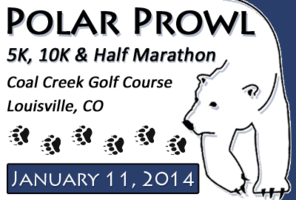 The one and only January Half Marathon in Colorado! Athletes of all abilities will love the serene feel of this run at the base of the Rockies! Along the mostly soft surface Coal Creek Trail… known as a gem in the Colorado trail system, with spectacular views of the countryside and a scenic bridge crossing or two, all distances have a fairly level grade and are a great opportunity to start your year off with a PR!